Offering you a complete choice of products which include 7 mukhi rudraksha, 9 mukhi rudraksha, 10 mukhi rudraksha, 12 mukhi rudraksha, 1 mukhi rudraksha and 3 mukhi rudraksha. For those who want to get blessings from Goddess Saptamatrika, they can always try for the 7 Mukhi Rudraksha which is known for its positive results. For those who want to take the blessings from Nav Durgas can try out the 9 Mukhi Rudraksha that can be availed form us at market leading prices. These are worn by various important personalities who want to enjoy success in life and also to provide power and strength to the wearer. 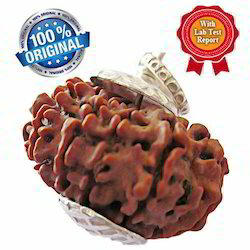 If one wants to enjoy the grace of Yama, then this 10 Mukhi Rudraksha can be the ideal choice for them. This product is known for its beauty and effectiveness that makes it all the more popular among the masses. This 12 Mukhi Rudraksha is always known as the image of Lord Vishnu and Lord Sun mainly worn to wade away all the bad vibes that effect mankind. It is mainly worn by people who are looking for success in their lives like administrators, Police Officers, engineers, Doctors and more. It is also worn to show respect to Sun and wearing it religiously will provide the users with quality results at the end. 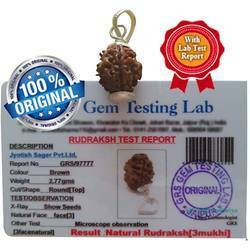 Ek Mukhi Rudraksha or 1 Mukhi Rudraksha is well known for its high power and longer working life. 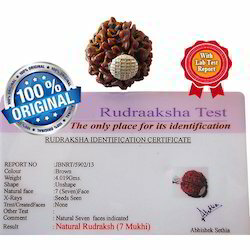 With years of experience in this field for some time now, we are able to trade and provide the customers with high range of 3 Mukhi Rudraksha that is known not only for its effective but also for the positive results it provide its wearer with. One can take the help of this Do Mukhi or 2 Mukhi Rudraksha Nepali (Nepali) which is the picture of Ardhanareeshwar which is also known as the mixed image of Lord Shiva and Parbati. This product is going to provide the wearer with power, grace and also prosperity so that he can succeed in every sphere of life. This Two Face Rudraksha Bead is known as the symbol of Ardhanareeshwar which is the combined image of Lord Shiva and Goddess Parvati. One can easily take the help of these beads in order to control the effects of Moon in someone horoscope. In order to enjoy the benefits of Ashtamatrikas, Lord Ganesha and also Ashtavasus, one can easily go for this well made 8 Mukhi Rudraksha. This product is mainly worn to provide the wearer with good knowledge and also to control the effects of Rahu. The 13 Mukhi Rudraksha is known to match up the Kamdeva and his grace. It is worn to improve the condition of the wearer and it also helps to improve the fortune as well. It also provides beauty to the wearer. 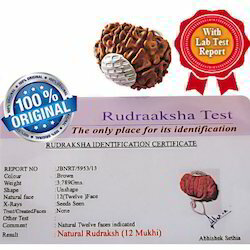 Ganesha Rudraksha is a form of Lord Ganesha's face. It is mainly worn for improving the memory of the wearer and also to give him to good power and wisdom through blessings of Lord Ganesha. In order to enjoy the grace of Panchbrhama and Lord Shiva, one can easily opt for 5 Mukhi Rudraksha which is available from our store at cost effective ranges. This is the mixture of grace of both Shiva & Parvati and it is mainly used for removing obstacles from marriage. For those, who want to rely on life and good marriage can always look for the Gauri Shankar Rudraksha for positive and effective results. It is also used to control the effects of Seventh Lord in the Astrology field. 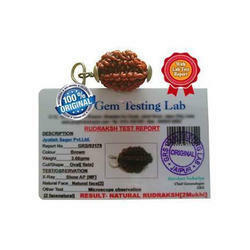 4 Mukhi Rudraksha is used to control the power of Mercury in our horoscope. 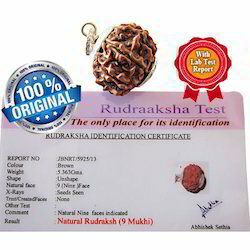 There are various forms of Rudraksha that one can take help of in order to control the different negativities that are occurring in their lives and among all that we have in store for you, the 11 Mukhi Rudraksha deserves special mention. 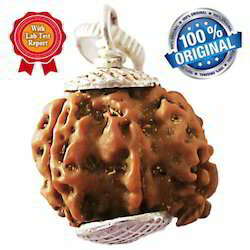 This is the best form to enjoy Ekadash Rudras and it is mainly worn to remove various types of sins etc. 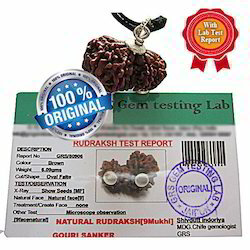 Garbh Gauri Rudraksha is mainly worn by women. This is for those who are suffering from conception as it is known for providing effective results to the needy people. 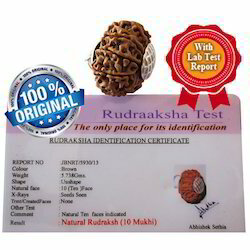 Those who are more prone to abortion can always take the help of Garbh Gauri Rudraksha for effective results. 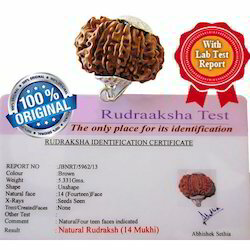 Fourteen Facet Rudraksha is known as the ideal choice in order to give all sort of mental Solution and sins of the wearer. It is highly beneficial for the users. This 2 Mukhi Rudraksha Bead Half Moon Shape in half moon shape is known as the symbol of Ardhanareeshwar which is the combined image of Lord Shiva and Goddess Parvati. It is mainly worn to give prosperity and power to the wearer. One can easily take the help of these beads in order to control the effects of Moon in someone horoscope. 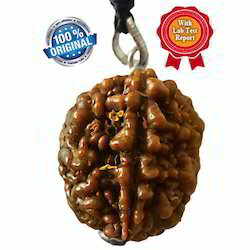 Lord Kartikeya resides in this 6 Mukhi Rudraksh which is much in demand between the believers. This spiritual object really works well when used it in proper manner and also when this product is worn with belief and faith.